This is a follow up of my previous post on Retro on iPod Touch. Previously I reviewed Mini vMac Apple Mac Plus emulator. This time also comes an emulator (sort of). 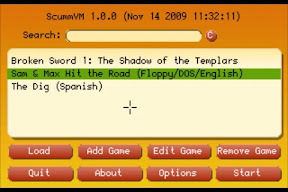 ScummVM is self-described as a collection of game engine recreations, and is available for several platforms (Mac, Windows and Linux at least... also several handhelds and game consoles). For me, its main use is to replay old LucasArts graphical adventures. Follow Indiana Jones into the depths of Atlantis, re-enact the adventures of Guybrush Threepwood or follow the old adventures of Sam and Max, while on the train, waiting in a line, or everywhere, inside your iPod Touch or iPhone. 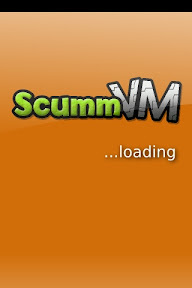 The first you need, is a jailbroken iPhone or iPod Touch with ScummVM installed, and ssh file access (or something enabling you to transfer files to your iPod's filesystem). You will need of course the original disks of the adventures you want to play (you can also find some free adventures out there). You will need (or at least, as I did it, I needed it) a MS-DOS/Windows emulator (if not on a Windows machine) to install the original game and then extract the needed game files. 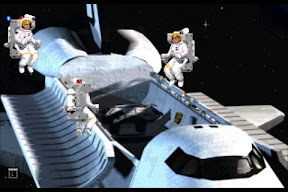 You can check here the required files for every game supported by ScummVM. 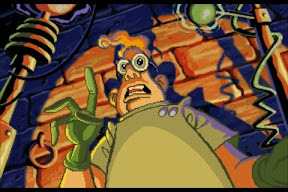 After it, follow the instructions on the main ScummVM for iPhone page. 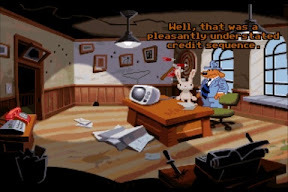 Sam and Max Hit The Road: I can't describe the fun coming from this game... and now I can replay it wherever I want to. 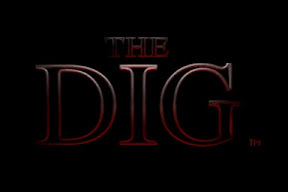 The Dig is probably the best graphical adventure I have ever played. A deep plot, not quite easy puzzles and beautiful landscapes mix for a gem of a game. A friend of mine is a big fan of Broken Sword: The legend of the templars, so I recently got my hand on the game. I played just a few minutes... it is not a great game for the iPhone, as the text font size is pretty small (but readable). Anyway, it looks really nice and smooth... Will give a try. Also, when I have time I'll go find my old 3.5' disks with Indiana Jones and the Fate of Atlantis... Remember, "X" never, ever marks the spot.